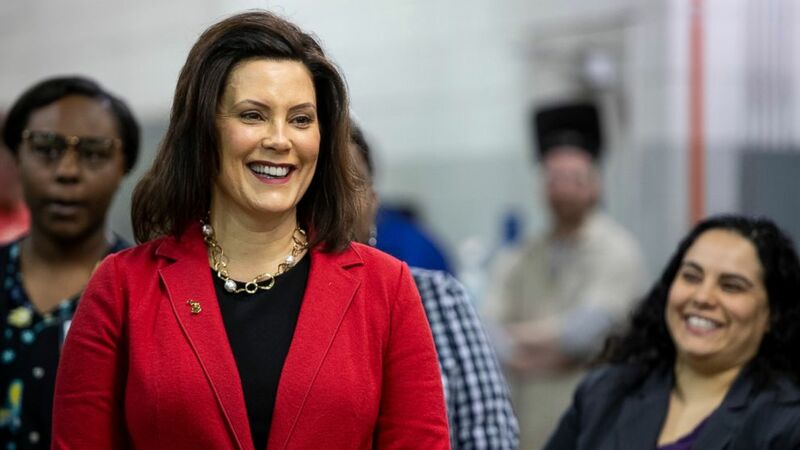 Whitmer late last week stopped the proposed sale from proceeding, after plans for the facility had advanced in the fall under the administration of then-Gov. Rick Snyder, a Republican. She said Virginia-based Immigration Centers of America would not promise to not detain adults who are separated from their children or other family members. GOP state Rep. Thomas Albert, whose district includes the former Deerfield Correctional Facility in Ionia — 110 miles northwest of Detroit — vowed Tuesday to fight Whitmer's decision. He said Ionia has lost out on 250 new jobs, $35 million in private investment and property tax revenue due to the blocked deal. It is not clear, however, if the GOP-led Legislature can realistically revive the project. U.S. Immigration and Customs Enforcement has set a March 29 deadline for bids to house approximately 600 male detainees within 150 miles of Detroit, either at a facility in Michigan or Ohio. It may be too late for Immigration Centers of America to find another site before then, a company spokesman said. Albert, of Lowell in western Michigan, said Whitmer's administration added strict stipulations to the proposed development agreement, including that the facility not house any individual who had been separated from a family member at apprehension, during detention or any other time while in custody. The restriction, which would have applied for adults detained and separated for the purpose of criminal prosecution or unlawful entry, would have forced the company to release a detainee if he or she alleged that they have been separated, he said. Immigration Centers of America, which operates a detention center in Virginia, was the sole bidder for the former prison, which closed in 2009. Spokesman John Truscott said the Michigan facility would have offered a "much better and more humane" alternative than the current practice of housing detainees in county jails.